Dance music isn’t always for everyone, but everyone can relate to getting frustrated. This hilarious music video makes the song utterly relatable and downright amusing. 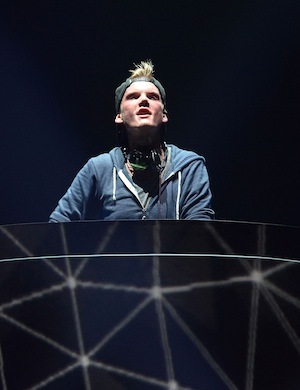 Remix-Nation recently reviewed the track and dubbed it the aforementioned and also suggested that EDM is now “elevating its music video game.” Avicii and Nicky Romero also have been two musicians that have glamoured the masses and taken dance music by storm. The featured character is an average female who has her standard job, her standard routine, and her standard irritations with life. She puts up with the stress and hum-drum of life. She’s dejected and uninspired, making adjustments to consistently accommodate the life she clearly isn’t happy living. A dream sequence offers her an escape, where she suddenly is surrounded by beautiful men, luxurious getaway locations, and an appreciation for her self-image that she never knew existed. It is this flash of adventure and happiness that prompt her to have higher expectations of her environment, and not care. We are used to seeing musicians who don’t care about authority and do what they want (i.e. Rihanna, most hard rock bands, etc.) but it’s another tale altogether when it could be you or me. Now, it sounds like it could be a decent video, but until you witness the character initially and watch her explode with rage and excitement, you realize her excess lifestyle post-realization is humorous beyond words. She eats what she wants whenever she wants, dates who she wants whenever she wants, and lastly, tells off her co-workers, who certainly did not give her the respect she should have received. I personally appreciated the fact that this dance song was able to have such a profound meaning and elaborate plot line. Suddenly, music that people often find hard to relate to becomes applicable to almost anyone. This is one video that I can honestly give a raving review. Also called “Nicktim,” this song is also pleasing to the ears. And if you cannot afford to let loose, enjoy watching this vivacious character live life to the fullest and laugh.